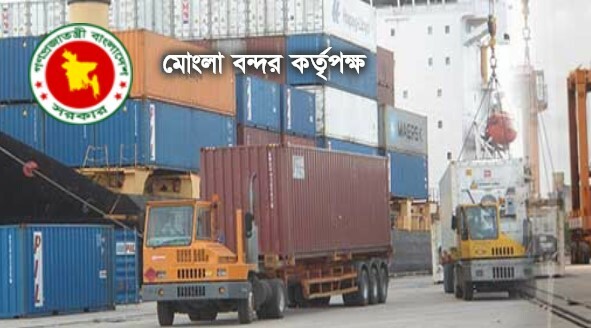 Mongla Port Authority MPA Job Circular 2019 has published on their Official Job Circular Website. The Job Application has started and the Last Date of this Job is 31 March 2019. Total 33 Job Vacancies are available under 19 Job Posts. By visiting www.mpajobsbd.com, you will see all post Name, Job Vacancies, Application Last Date and Online Application Link. So, click on the Application Link and submit your Application. The Eligible Candidates can apply to this Job Online easily. After clicking on the Application Link, Online Application page will open on the Screen. Then, you need to provide all the information correctly. Finally, Click on the Submit button and complete your Job Application submission. If you face any problem, you can contact MPA Job Application Online Support number 01718035262. By calling this number, you will get an opportunity for sharing your Problem with the Developer. Here is the Official Circular HD Image Version available for the Applicant. 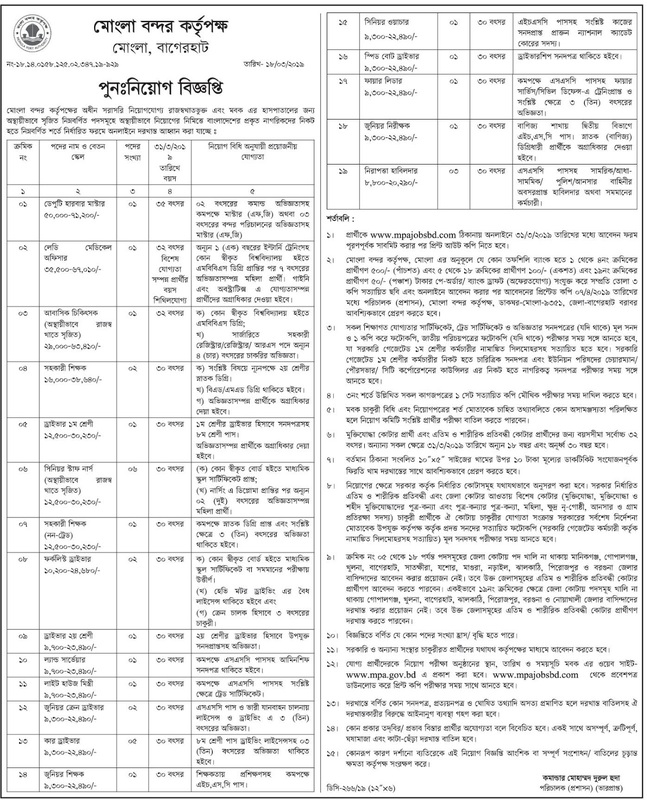 If you are an Applicant, you need to read the below PDF Circular of Mongla Port Authority Job Circular 2019. Then, Visit the Job Application Page and apply within the validity period. Please be informed that before Clicking on the Application Button, Collect your Photo, Signature, and Bank Draft Number. It will require while submitting your Application.